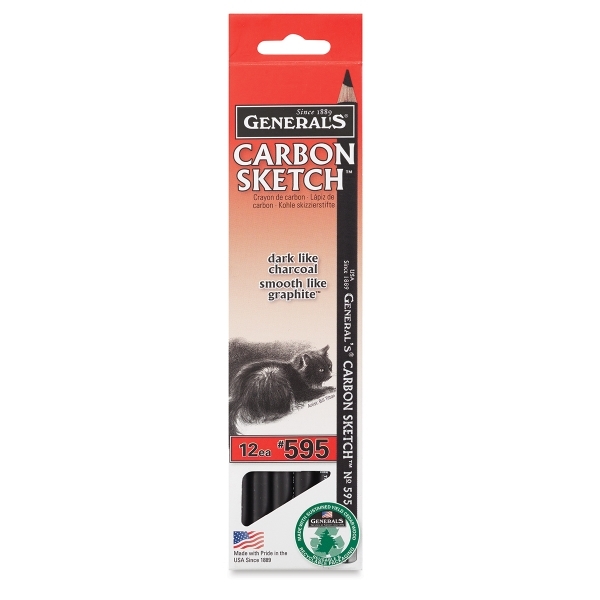 This fine pencil has a unique formula combining the smoothness of graphite with the deep rich blacks of charcoal. 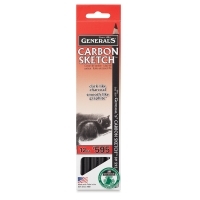 It lays down smooth, strong, jet-black lines for sketching, drawing, or layout. Perfect when used alone, it can also be combined with charcoal or graphite for a variety of effects. Hardness 4B. Box of 12 pre-sharpened pencils.